A Cinnamon fern - (Osmunda cinnamomea), transplanted from the woods into the garden. 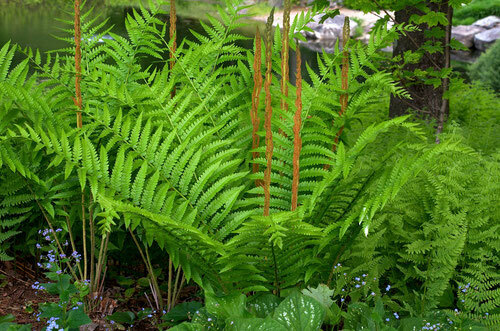 PLEASE NOTE: All of the fern species that are under cultivation at Distant Hill Gardens are Native to the property. Some specimens have planted themselves naturally in the gardens and some have been transplanted from the wild. Those fern that have been taken from our woods are very common and are not threatened or endangered species. 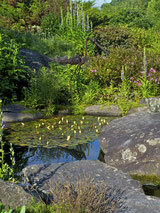 If a fern below is highlighted in Green, touch or click on the name to see a photo of the fern in the garden.